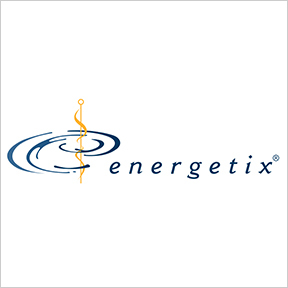 Since 1997, Energetix® has formulated highly-integrated nutritional, botanical and homeopathic products that address complex health concerns associated with an increasingly imbalanced and toxic environment. Their non-suppressive, therapeutic formulas are designed to provide the tools for nutritive and preventive strategies that support overall wellness and vitality. To provide unique innovative solutions that respect the body’s innate wisdom, all products are designed with synergistic, bioavailable, meticulously sourced ingredients. To ensure the highest quality, products are manufactured according to cGMP standards in an FDA-registered NSF-certified facility. All raw materials are tested and screened for purity, potency, identity and contaminants. During manufacturing, products are tested to ensure accuracy and consistency. Final products are tested a third time to verify potency and purity. According to the principles of homeopathy, homeopathic remedies ignite the body’s own healing response in order to nourish health and homeostasis. Adrenal-Tone: This liquid combination formula is designed to address symptoms of adrenal stress. Adrenal-Tone is formulated with homeopathically prepared adaptogenic herbs to address symptoms related to adrenal imbalances, such as fatigue, weakness, sleeplessness and cravings. Colon Clear: This nutritional herbal supplement combines wildcrafted and organic botanicals traditionally used to promote normal intestinal and bowel function, as well as maintain regularity. To help with occasional bloating, pressure and constipation, Colon Clear provides organic ingredients, such as slippery elm bark, sage and dandelion leaf, as well as wildcrafted ginger, black walnut hulls and cascara sagrada bark. Gluten free. Phyto B Complex: This nutritional supplement provides a bioavailable source of multiple methylated B vitamins combined with adaptogenic herb, rhodiola rosea. Benefits include support for energy production, macronutrient metabolism and healthy mood, as well as brain, nervous system and endocrine system function. Gluten free. D3-K2 LipoSpray: This synergistic blend of bioavailable vitamin D3, as cholecalciferol, and vitamin K2, as menaquinone, is formulated to support calcium uptake regulation, as well as the maintenance of skeletal, dental and cardiovascular system integrity. Relief-Tone: This broad-use homeopathic combination is designed as a healing strategy to stimulate the body’s response to pain, inflammation and recovery after physical trauma. Relief-Tone is formulated for the temporary relief of symptoms of wounds, bruises, sprains, aches, swelling, cramps or other injuries. This entry was posted in Home and tagged Adrenal-Tone, Colon Clear, D3-K2 LipoSpray, Energetix, Phyto B Complex, Professional Supplement Center, Relief-Tone, Vitamins and supplements, www.professionalsupplementcenter.com. Bookmark the permalink.